Let me know what you need and I've got you. 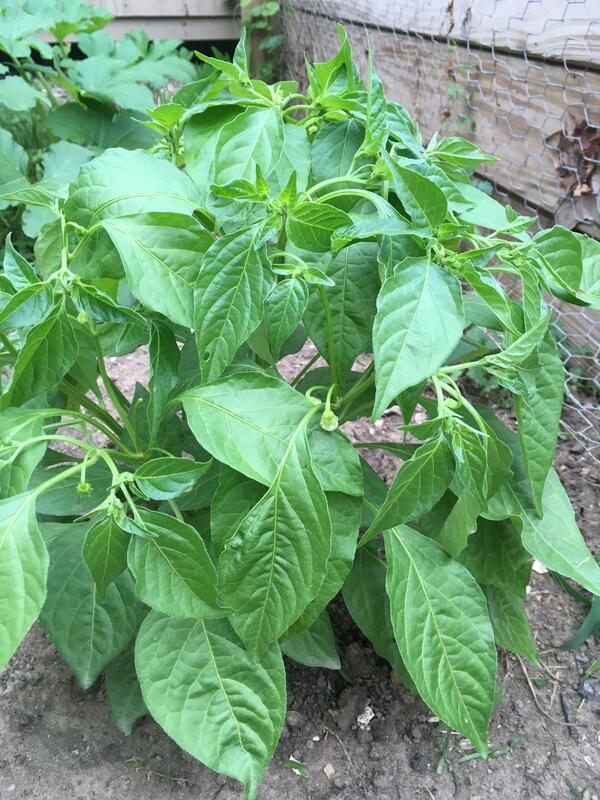 looking for jalapeno and serrano varieties. I want spice with that good mexican pepper flavor. let me know what you have! Definitely would like to get on the seed train again. Count me in. 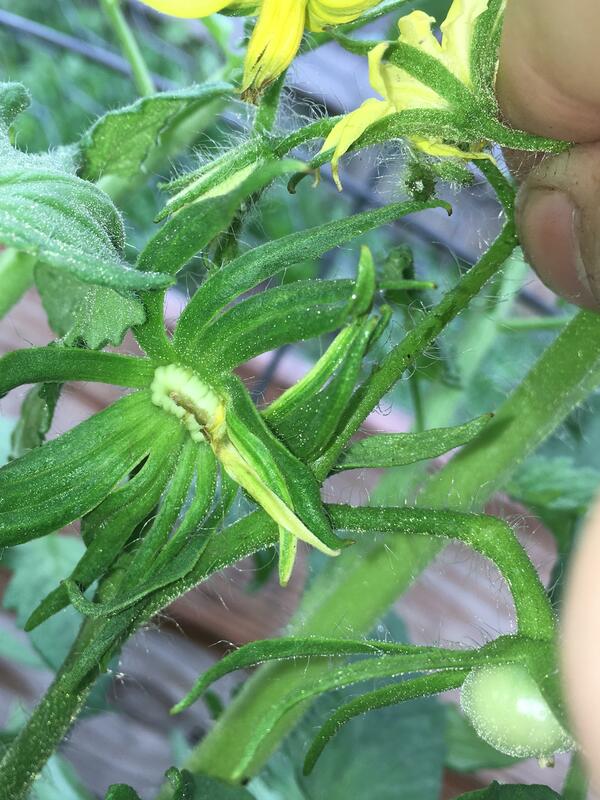 Those are some sweet bleeding calyx! You from Freeport, Maine? I just worked last summer in midcoast maine. Beautiful place. #1583920 SFRB of Mixed Peppers for trade/sale? 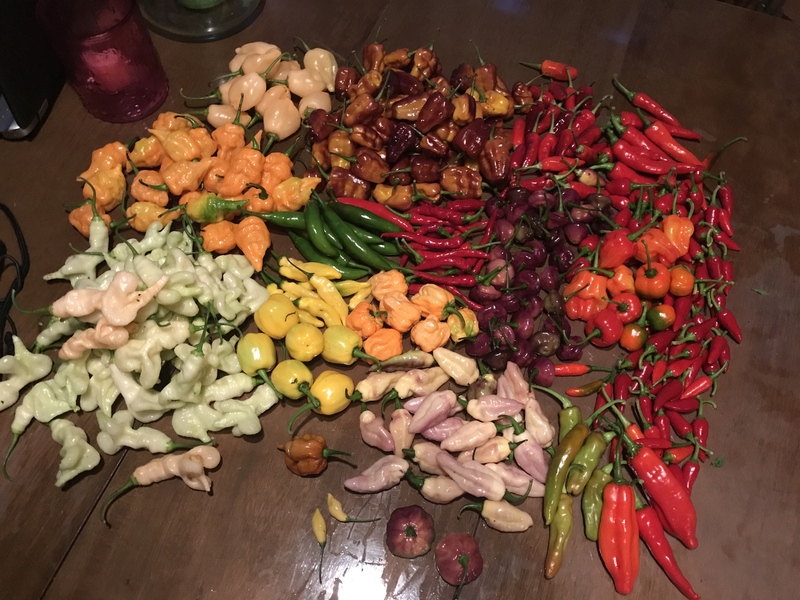 Anyone interested in trading some homemade sauces for a sfrb full of peppers? Or you could buy them. I've got too much of a bounty this year and there's no point in me freezing anymore. most of the red peppers are indian heirloom varieties or wild and rare capsicum species. i dropped the tray in February but still saved a lot that went into the garden without knowing what they were. 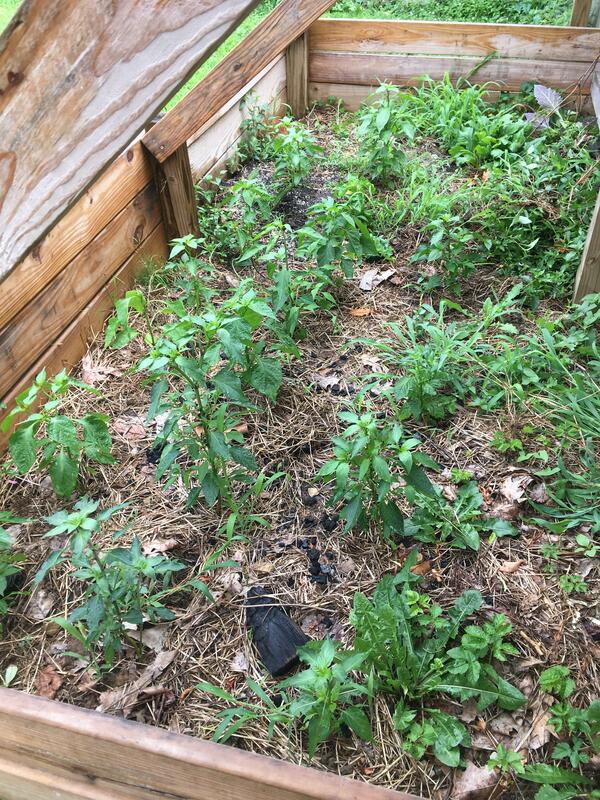 Got most of the big weeds out, now just time to cut all this crabgrass out. Real fuzzy. I germed a whole tray of wilds and rare varieties but I ended up dropping them before they hit dirt. I don't know what was what but whatever survived got planted. Here's another. Real tiny little thing. I like the leaf shape. Sugar rush creme getting ready to explode. How's your purple ufo coming along? 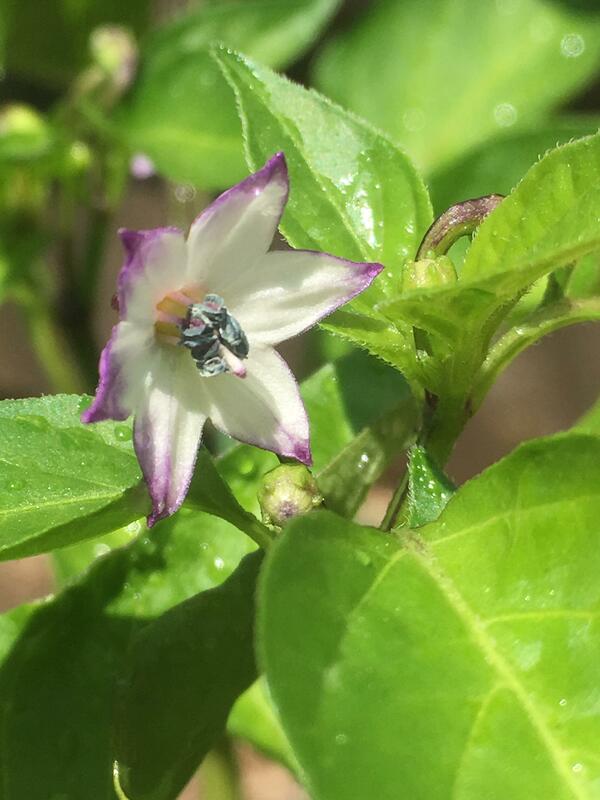 I have two phenos, one looks right the other is still a cool pepper. 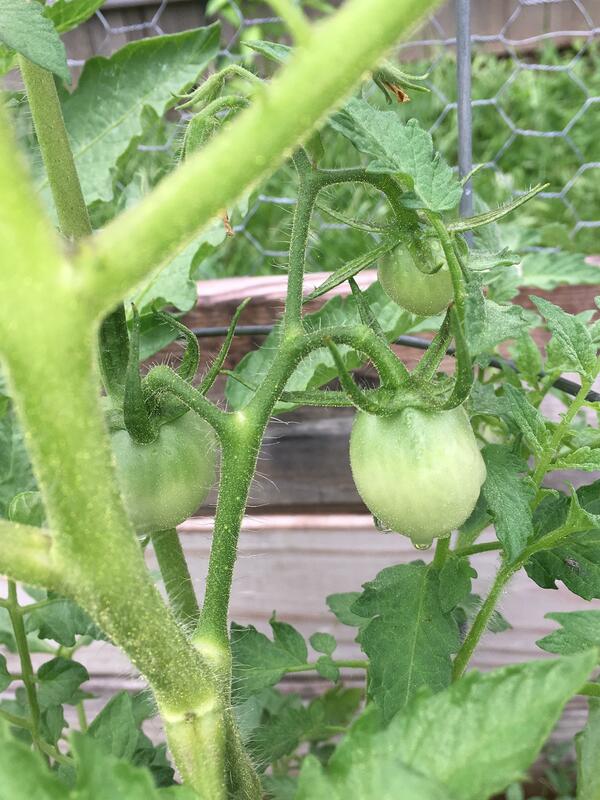 They look cool while ripening. What do you think? I've never grown Purple UFO before. I'm thinking it probably got crossed. Hey yall. what are ground cherries? I've grown otricoli berry before. 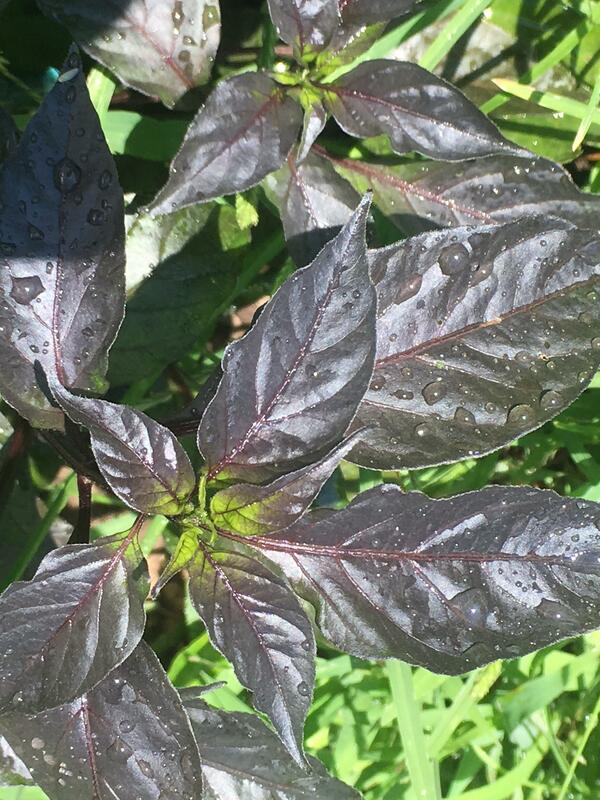 It's an orange edible variety of black nightshade. Grows stupid fast. Overgrew a 7 gal bucket in a couple months. Waterloss through transpiration actually did it in because I couldn't water it often enough last summer (got so big it needed to be watered twice a day). The little fruits were good but strong. I liked a handful in spaghetti sauce but otherwise it was hard to find a use for them. Walchit gave me some shwartzbeen that I just remembered I had after reading this, so I'll sow those this week and see what I can do with them. 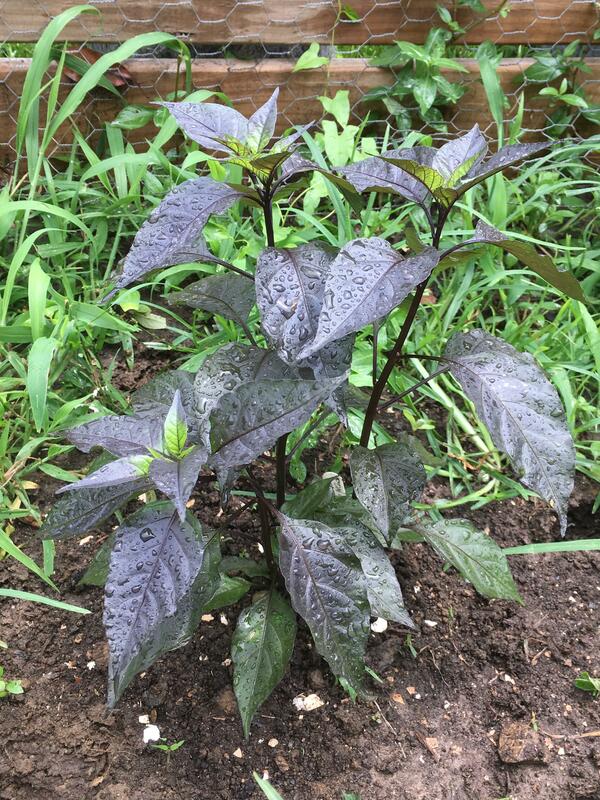 Growing some mainstram nightshades too. tomato, potato, pepper of course. I'm pretty interested by wild varieties and rarer capsicums. Had a whole 72 tray of wilds this year but ended up dropping them and had no idea what was what. Those anomalums are pretty rad. Gunna save the link and check them out for next year. #1566148 Make your best taco. looks awesome. Neat cross. 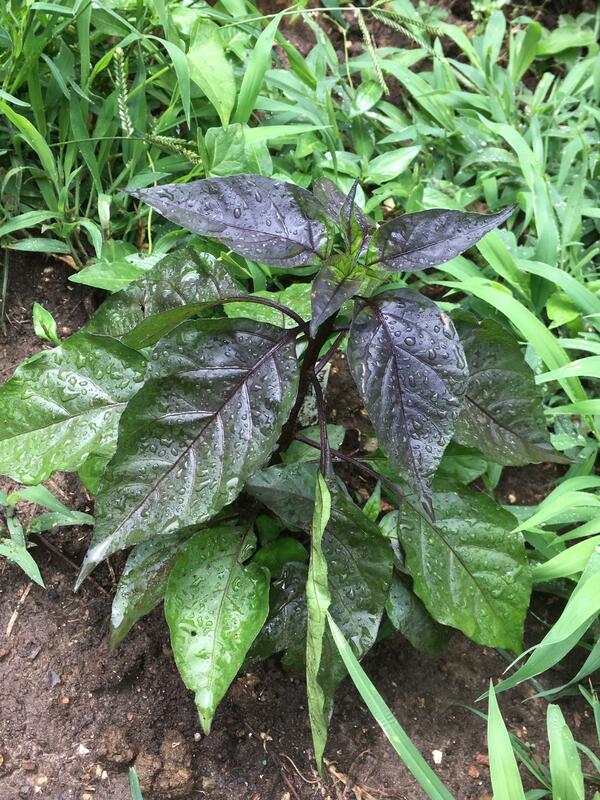 Baccatum flavor or chinense? It looks hab dominant. White is nowhere near as big yet. 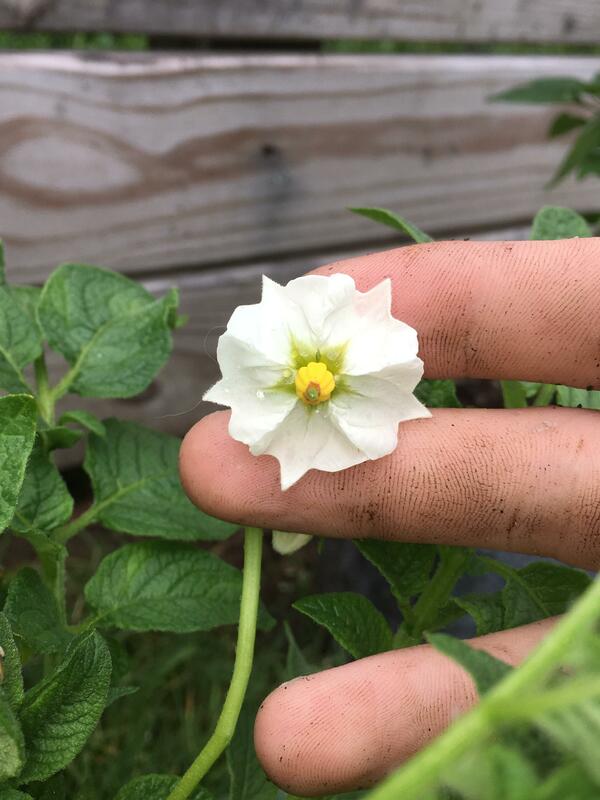 Potatoes in growbags starting to flower. 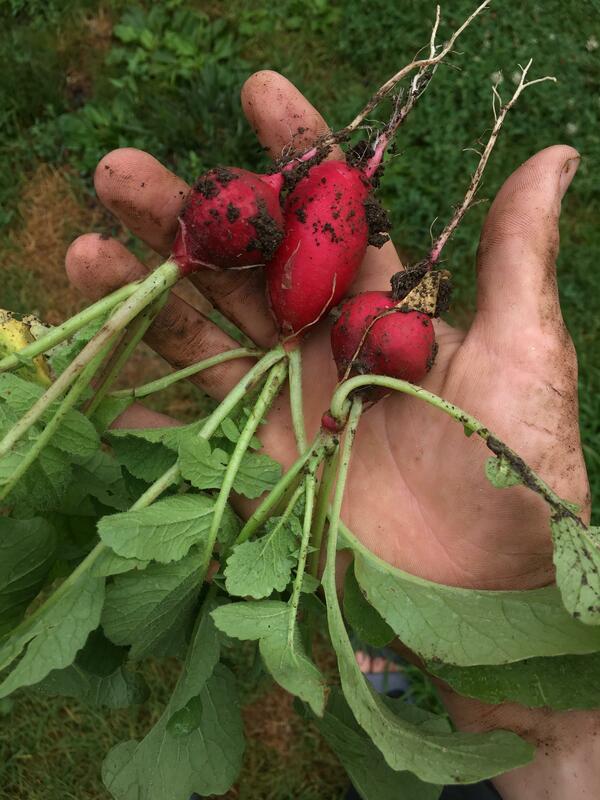 Plucked a few radishes too. Spiciest radishes I've ever eaten. All the leftovers in the secondary garden doing well too.